Ticket booking and waiting list are now filled up, but you can sign up to receive email updates for future events from Time Travellers for Choice and Abortion Rights Campaign, using ticket link or the Google Form here – https://goo.gl/forms/mHlR8JUdecyvfqyT2. Thank you! 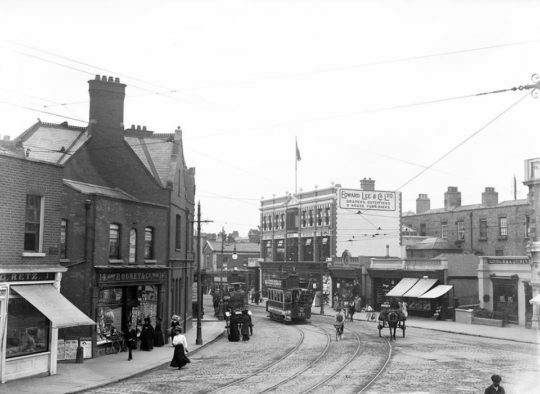 Have you wanted to find out more about 49B Leinster Road, the last house owned by Countess Markievicz; as well as the former residences of many other early 20th century Irish suffragettes and revolutionaries in Rathmines, Dublin? Time Travellers for Choice of the Abortion Rights Campaign are thrilled to announce the first in a series of historical walking tours commemorating the centenary of Irish and British women gaining the right to vote, through the Representation of the People Act of 1918. The suffrage movement of the late 19th century and early 20th century led the way to modern feminism and campaigns for bodily autonomy which include abortion rights; we believe it is important to remember our predecessors in the campaign for gender equality, and to encourage ongoing conversations about human rights and reproductive rights. The 4th of February this year is the 150th birthday of Countess Markievicz, prominent suffragette and leading figure in the history of Irish independence; and we would like to use this occasion to talk about her residence at 49B Leinster Road in Rathmines Dublin, where she lived from 1912. We are also going to walk to the former residences of other revolutionary Irish women and comrades who lived in the neighbourhood, including Hanna and Francis Sheehy Skeffington, Grace and Muriel Gifford, Madeline ffrench-Mullen, Kathleen Lynn, Mary Christina Doyle, and James Connolly. As well as the abortion clinic run by Mamie Cadden, the controversial Irish backstreet abortionist during the 1930s-1950s, whose story is being adapted for the stage by the theatre company Idir Mná and is due to open in April this year with funding from the Irish Arts Council. We will meet at 2pm outside the Rathmines Library, and our provisional route is Rathmines Library – Leinster Road – Grosvenor Place – Belgrave Road. The tour will be about 60 – 90 minutes and we plan to head indoors afterwards for chats and cake. Please wear comfortable and warm clothes and shoes. The Time Travellers for Choice group will be in 1910s and historical dress. This is a FREE event, booking required. (*Update: Ticket booking and waiting list are now filled up, but you can sign up to receive email updates for future events from Time Travellers for Choice and Abortion Rights Campaign, using ticket link or the Google Form here – https://goo.gl/forms/mHlR8JUdecyvfqyT2. Thank you!